Aircel has today filed for bankruptcy, in what appears to be a case of a firm breaking under intense competition and mismanaging its finances. According to a report from CNBC, the operator has filed the application with the Mumbai National Company Law Tribunal (NCLT) citing intense competition and a staggering debt of approximately Rs. 19,000 crore owed to SBI. 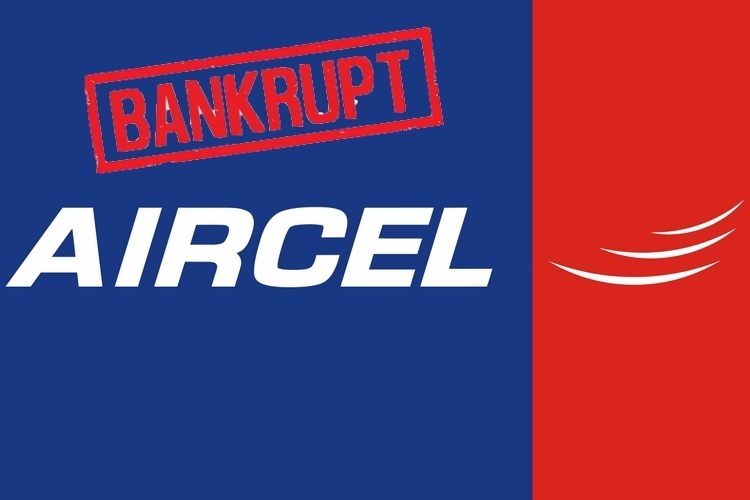 “The Board of Directors acknowledged that it has been facing troubled times in a highly financially stressed industry, owing to intense competition following the disruptive entry of a new player, legal and regulatory challenges, high level of unsustainable debt and increased losses”, said Aircel’s official press release. There is no doubt that Reliance Jio is the new player being talked about here, whose entry sparked a price war in the industry and led to a dramatic fall in service rates and tariff charges. Aircel’s executives reportedly finalized the decision to file for bankruptcy ‘a short while ago’, after a meeting in Delhi where lenders agreed to the terms and conditions. As per Aircel’s press release, failure of a planned merger with another telecom operator and lack of general consensus regarding the company’s restructuring of its finances led to the hard decision. The operator has filed an application under Section 10 of Insolvency and Bankruptcy Code (2016) to start the Corporate Insolvency Resolution Process for three companies viz. Aircel Cellular Limited, Dishnet Wireless Limited and Aircel Limited. Regarding the move’s impact on the services offered by the firm, Aircel’s press release said,“The Company would like to communicate to all the customers that it would strive hard to provide uninterrupted service connectivity to them and appeals to them for their support during the current difficult period.” However, Aircel has clarified that it is not liquidating its assets but is just trying to resolve the existing situation to ensure that the interests of its employees, business partners, and customers are not put into jeopardy.